My October Tabletop Decor — Cassia & Co. In September, I shared about my Summer to Fall Tabletop Decor. 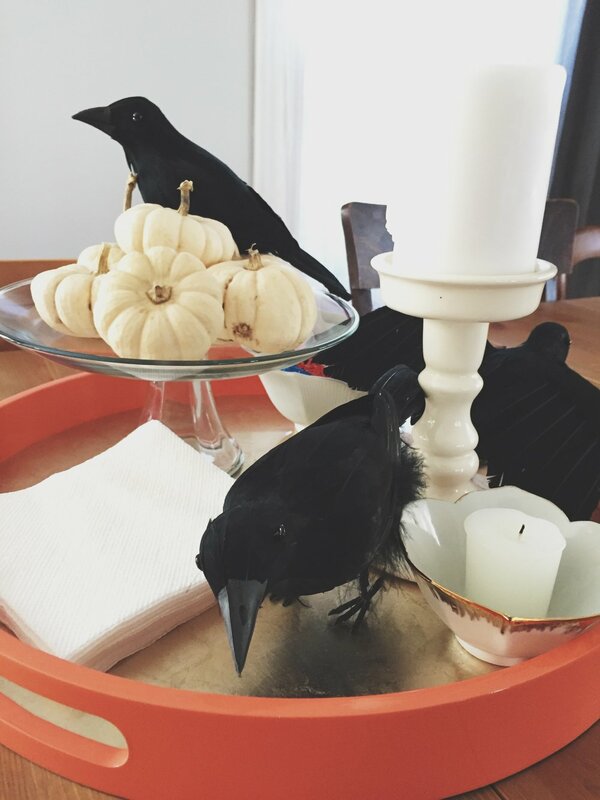 I wanted to share how I updated it for October with a few spooky Halloween crows. Tray from One Kings Lane; Crows from Michaels. Lotus bowls and candlestick are vintage.